Bogdan Petkovic is unequivocally the greatest men's water polo player in GW history, but the center defender—a lean-muscle slab of native Serbian who kind of looks like James Franco— thinks his shot could be better. So what's wrong with it? He's being modest—he tied for the team lead in goals last season—but, regardless, he's got an extra year to work on it. Mr. Petkovic is redshirting in 2015, saving his senior year for 2016, as part of new coach Adam Foley's plan to rehab a program that's had only two winning seasons since its inception in 1999. "It's a way to retain the best player in GW history while trying to make the team my own," says Mr. Foley, promoted to head coach after one season as a GW assistant. Mr. Petkovic will return in 2016 to a team improved, in theory, by two recruiting classes. Mr. Foley says the focus of those classes will be bigger players (taller and with longer arms, like Mr. Petkvoic, who is 6-foot-4, 215 pounds and has a 6-7 wingspan). He also wants to keep recruiting hard overseas, where water polo is more popular. The logic behind Mr. Petkovic's sitting out this season—the NCAA gives players five seasons to play four—is to build the best team possible, as soon as possible. "This will be a year where we're going to have so many freshmen and sophomores playing," Mr. Foley says. "We're going to get a lot of experience with that group and get 12 guys a lot of experience. Hopefully, out of those 12, we can identify seven or eight that have developed nicely over one season, bring back Bogdan, hopefully bring in another high-end recruit, and then we'll have about 10 very, very solid-to-excellent field players." Mr. Foley brought in nine freshmen this season and, in total, had 22 players competing for 18 roster spots. 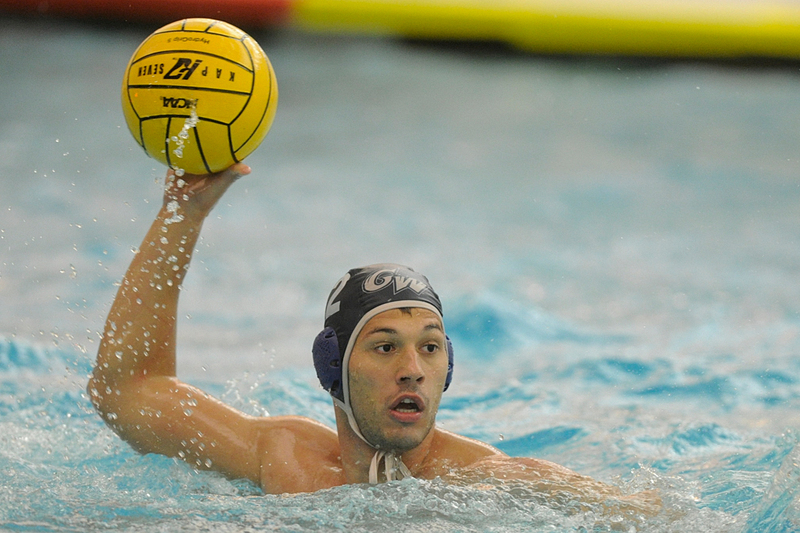 Mr. Petkovic owns the career record for field blocks (72) and is the first and only GW player to be named the College Water Polo Association's Defensive Player of the Year. Last season, Mr. Petkovic led the team with 106 points, 83 steals and 24 field blocks. He scored 63 goals. Mr. Petkovic says he made the descision to redshirt, mulling it for a few months after Mr. Foley proposed it in the winter. The 23-year-old will take the extra year to add a second major. He'll graduate with degrees in finance and international business. "Coach Foley, for the next year, has big plans with recruiting and the whole program, so I saw the opportunity to make a big final season," Mr. Petkovic says.